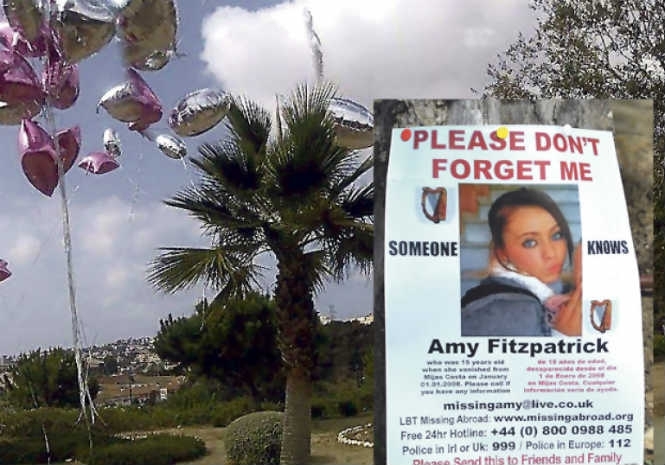 EVERY year since daughter Amy Fitzpatrick went missing in Calahonda on New Year’s Eve 2008, mother Audrey has made the lonely journey from Ireland to the Costa del Sol as a mark of respect. Euro Weekly News has covered this sad story since Amy disappeared after baby-sitting for a family friend and regularly speaks to Audrey especially at this time of year. She has revealed to us that although she had booked her flight to Malaga so that she could once again try to jog memories and publicly remind everyone that the 15-year-old mysteriously vanished on the short walk home, she has decided that she can’t do it again this year. “I’ve done everything I can over the past 10 years to try to find out what happened on that night” Audrey told EWN on the phone from Ireland. “We have made appeals, produced posters, spoken to people locally, prayed and have had support from the press but all to no avail. At the moment, I’m simply too tired to make it over this year although my thoughts are constantly with my daughter” she continued. The last decade has not been a good one for Audrey as she has also had to overcome her own serious health problems and saw her partner Dave Mahon jailed for the manslaughter of son Dean. If any reader has any information about Amy then please contact EWN and we will ensure that the information is passed to Audrey.